Gallagher's West -Free 2 hour Bike/Kayak Rental! 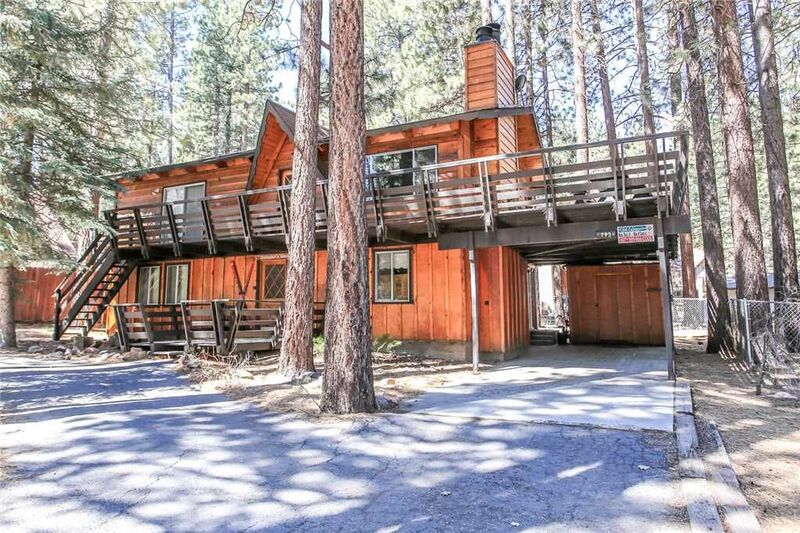 Four bedroom, two bath, two story cabin very close to Snow Summit with two wood burning fireplaces, 3 TVs with Dish Satellite, 2 DVD players, and washer/dryer. Fitted with all the conveniences of home, Gallagher's West has a full kitchen with stove/oven, refrigerator, dishwasher, microwave, blender, toaster, coffee maker, dishes, pots/pans, and more. Enjoy a game of bumper pool in the family room with TVs (no cable/satellite), DVD player, and wet bar. Deck in the pines and barbecue. Walk to Snow Summit, lake, shops, and restaurants.